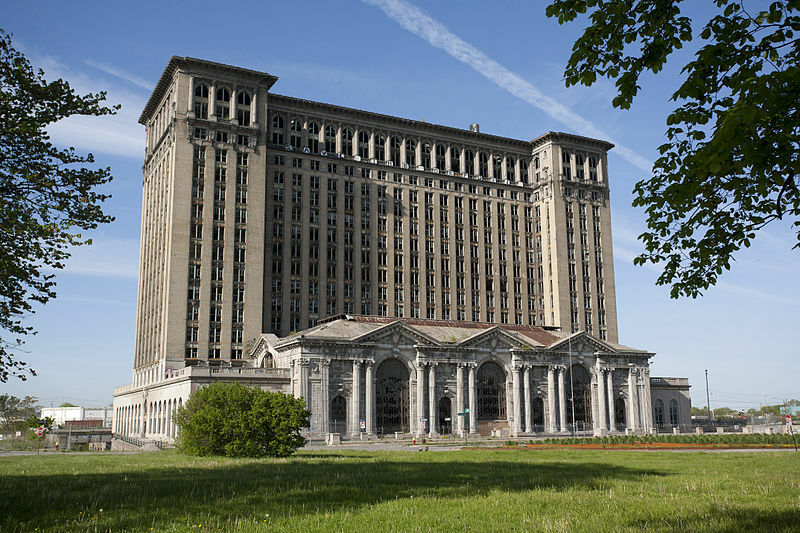 Ford Motor Co. has made it clear it has interest in taking over the Michigan Central Station in Detroit's Corktown. An announcement is expected in mid-June. So could this be the first move? One of the Moroun family's real estate companies quietly transferred ownership of the station to a mystery company last week, reports Chad Livengood of Crain's Detroit Business. A warranty deed dated May 22 was recorded May 23 by the Wayne County Register of Deeds, transferring ownership from the Moroun-owned MCS Crown Land Development Co. LLC to New Investment Properties I LLC, property records obtained by Crain's show. The deed records list the address for both New Investment Properties entities as the New York law firm Phillips Lytle LLP. The firm did not have immediate comment, Livengood writes.